This post is special because it is not a review, but a shoutout to one of my favourite skincare brands ever: Laneige! All thanks to Laneige, that I started my love for Korean cosmetics and skincare products. 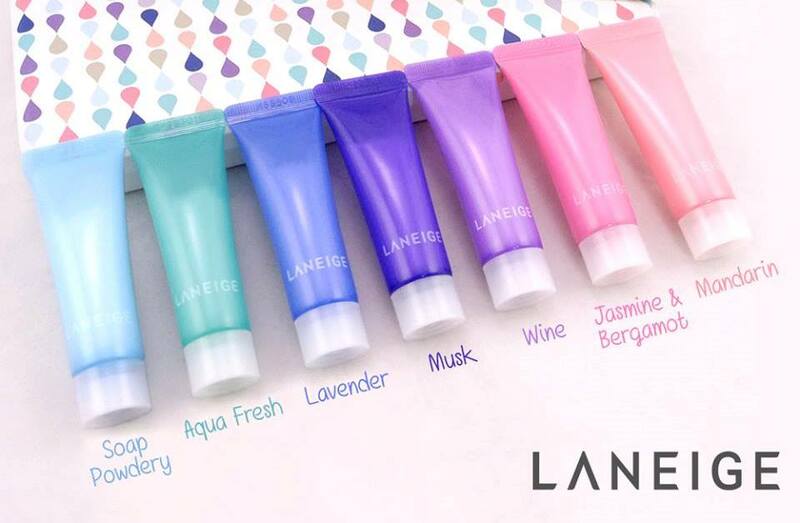 I'm a loyal fan of Laneige's and I have bought most of their products, ranging from their water bank series, to whitening series, suncare series, and makeup - BB Cushion, makeup bases, blushes, eyeshadows. I've also made lots of familiar friendly acquaintances with Laneige staff at their counters, in various locations. So this brand is quite special to me. And honestly, I do love all their products. Like their water bank gel_ex, their water bank skin mist, sun care aqua+, White Plus Renew Original Essence are some of the products which are my staples in my skincare regime. Once again, I would like to wish them a very very happy birthday, and indeed, they have come a very long way. As a sort of celebratory move, they have launched an absolutely stunning limited edition Laneige 20th Anniversary Water Bank Gel Cream_Ex Set (worth $52). Each tube contains a different scented Water Bank Gel Cream_EX, which you can use on different days. I've tried the scents and found them to be really lovely and soothing, and would urge fans to get it! Click here to view their milestones, from year 1994. 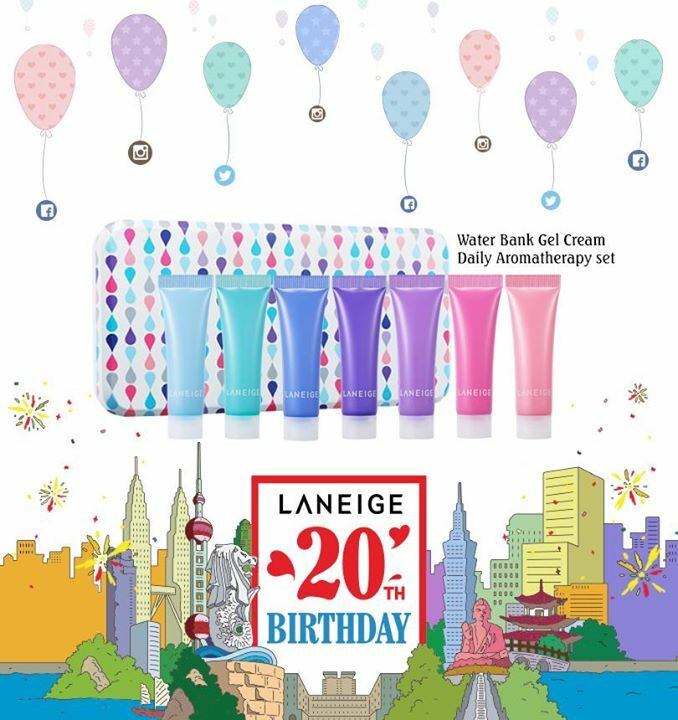 You can also send them a birthday wish here with the hashtag #LANEIGE20 on your Facebook Timeline, Instagram or Twitter and enter the lucky draw to win LANEIGE 20th Anniversary Water Bank Gel Cream_Ex Set (worth $52) from now till 28 Sept 2014! That's not all! Also, fans also get a chance to enter their Sure-win Lucky Dip and Grand Draw with every $150 spent on Laneige items this September month! 20 lucky winners will take home fantastic prizes worth up to $39,500, including a trip to Seoul, jewelry and a K-Beauty Laneige Hamper! Don't miss out on this and for more information, keep checking back with their facebook page!